Two events served as annual maritime milestones in the Northeast this week. 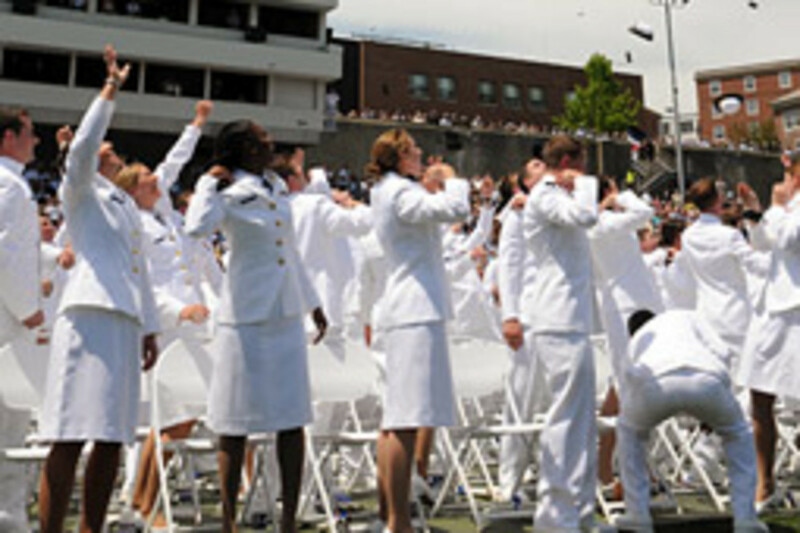 On May 20, a total of 225 men and women graduated from the Coast Guard Academy in New London, Conn., which transitions the cadets into ensigns. That same day, a parade of Coast Guard and Navy ships passed the Statue of Liberty as they headed into New York Harbor for the start of Fleet Week, held each year to celebrate mariners. 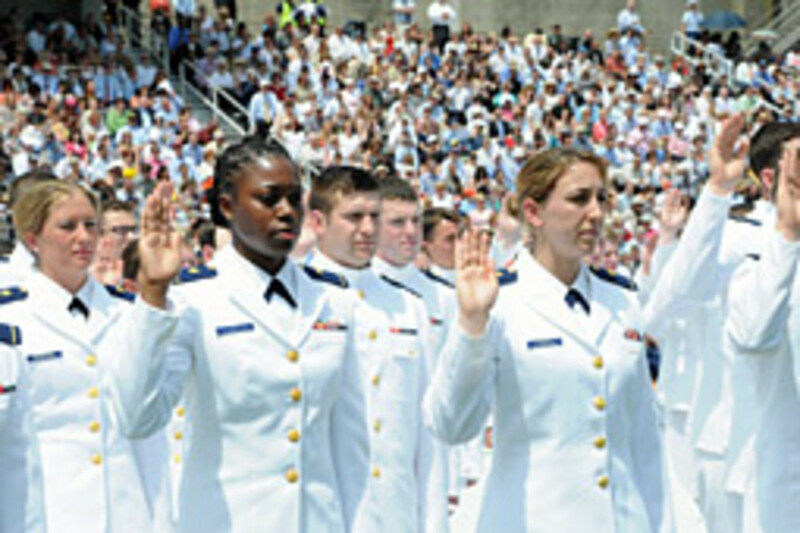 Graduating cadets at the Coast Guard Academy’s 128th Commencement Exercise, left, take their oath of office and officially become ensigns. 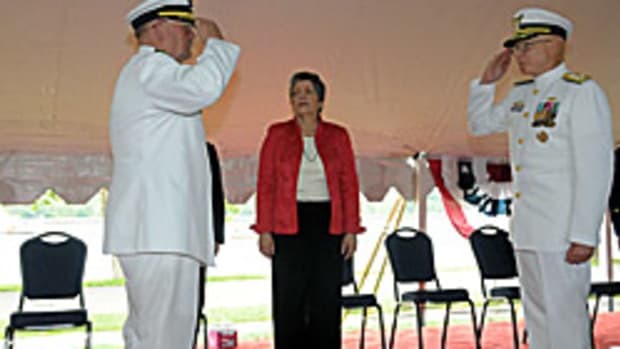 Department of Homeland Security Secretary Janet Napolitano delivered the keynote speech. Newly commissioned ensigns of the Coast Guard, right, divest themselves of the symbols of cadet life with the tradition of tossing their hats into the air. 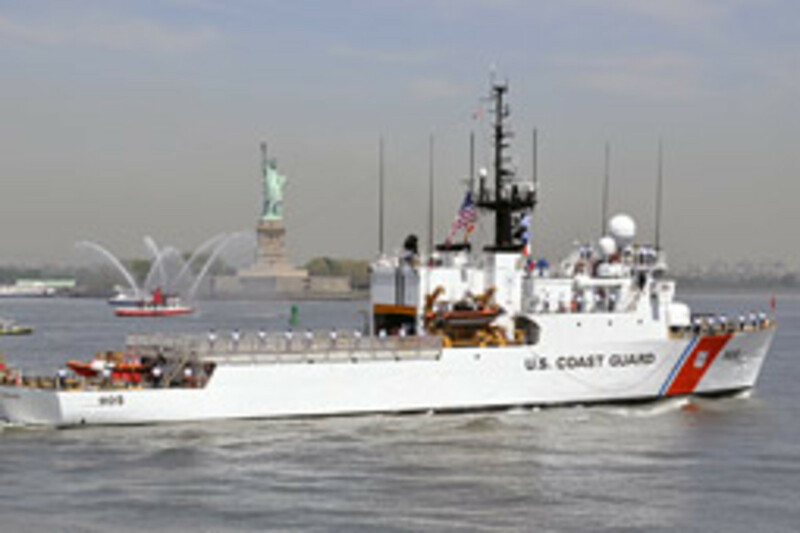 The crew of the Coast Guard Cutter Spencer (WMEC 905), left, man the rail as the ship sails past the Statue of Liberty May 20 during the New York City 2009 Parade of Ships. The cutter Spencer, home-ported in Boston, conducts missions in search-and-rescue, maritime environmental protection, drug and migrant interdiction and security patrols along the Atlantic coast. 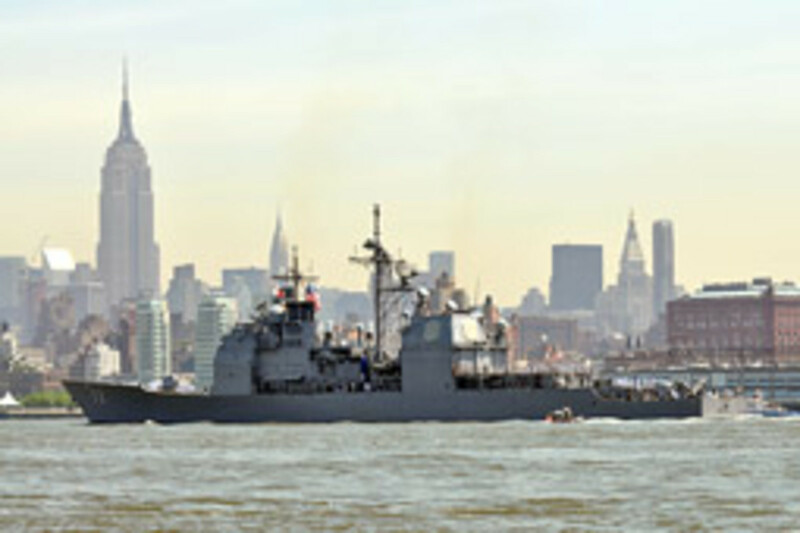 Fleet Week runs through Memorial Day. Two Coast Guard law enforcement crew, right, provide a security zone around the Norfolk, Va.-based guided missle cruiser USS Vella Gulf as it makes its way through New York Harbor.